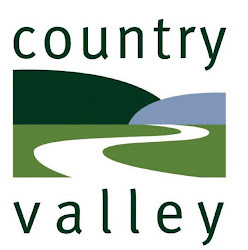 Country Valley Milk Man: The Story behind the "Bobby Calf"
Country Valley is a very small (boutique) milk producing company set in the rugged hills of the Razorback Range in Picton, NSW. The Story behind the "Bobby Calf"
Dairy farmers to a person live and breathe animals. They get up EVERY morning , feed , milk and care for their animals... No flexi-time , no overtime and no penalty rates. It is a fact that cows must calve before they can lactate. In the greater farming community,genetic interference is frowned apon , therefore some of the offspring will be male and some female. In the DAIRY industry males do not produce milk so they are a commodity with limited value, but they are part of the farmers herd. The pregnant cow calves in a custom designed paddock were she is comfortable. The farmer will bring mother and calf back to the dairy almost always between milkings (ie after 9.00am -- before 3.00pm). If the calf is born overnight it will be with its mother at least until 3.00pm the next day. The calf has complete access to Mum over this period, the calf suckles and is soothed in this very important period in both their lives. At the next milking , the cow is placed in the herd , her rich colostrum milk is collected for the first 3--5 days, this is fed to any calves that have been born recently. The new calf settles when Mum is away, because its natural instincts tell it to lie down and remain still and quiet. It has a full stomach and needs only to survive if it were in the wild. Next milking Mum is returned to the dairy with the herd... because her milk is still not suitable for human consumption, the farmer puts the cow with her calf and the baby wastes no time enjoying Mum's morning or afternoon offering. This cycle continues until sale day... in most cases in rural areas, sale day is once a week and the calves are mostly picked up from the dairy as early as possible on that morning... well before the farmer has had time to collect his new born calves. Therefore, most of the calves that the dairy farmer sends to the sale have been fed regularly and they have also grown accustomed to separation from Mum. Every farmer would love to be in a position to rear every one of his calves, but the economics of this in an industry prone to flood , fire, drought and now public opinion, force him/her to make some hard decisions... one of these is they must sell young male calves to enable them to rear replacement stock for their future livelihood. These calves are part of the farming family and every farmer worth his salt, will insist that every animal be treated with care and compassion.